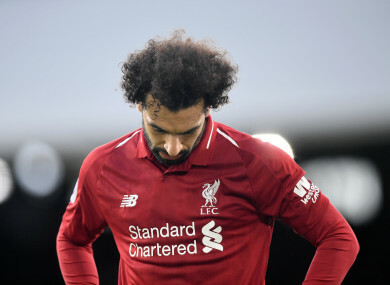 “Mo is a world-class player,” Van Dijk said after Sunday’s 2-1 win at Fulham was secured by James Milner’s late penalty. People can say all they want but I think all the teams in the Premier League would love to have him in their side. We have him and I think he is playing well. Liverpool are back in Premier League action on 31 March, with third-placed Tottenham the visitors to Anfield. Email “Van Dijk: Salah goals will come for Liverpool”. Feedback on “Van Dijk: Salah goals will come for Liverpool”.